That’s unfortunate. Opportunities present themselves everyday. The trick is, however, to be alert to and seize them when presented. This, in turn, requires changing your mindset and perspective on life and its consequential challenges. It requires appreciating what you have achieved so far and filling your mind with positive thoughts. It requires being open minded. It entails leveraging your willpower as opposed to excuses. It encourages action as opposed to inaction. And most importantly, it requires setting aside fears and instead understanding that whatever situation you may currently be in, with positivity, focus, and action, success arises. Quite too often, when we at American Forklift Training Centers, INC., initially meet students, it is brought to our attention that they are undergoing (perceiving) struggling times. From dead end jobs to unemployment, students are seeking new professions, new jobs, more pay, reduced commute to work, and/or more overall work life balance. However, with constant obstacles in the way, they understandably become frustrated and unconfident in finding success. Perspectives change, though, once students realize first hand the strong and increasing demand for forklift operators. 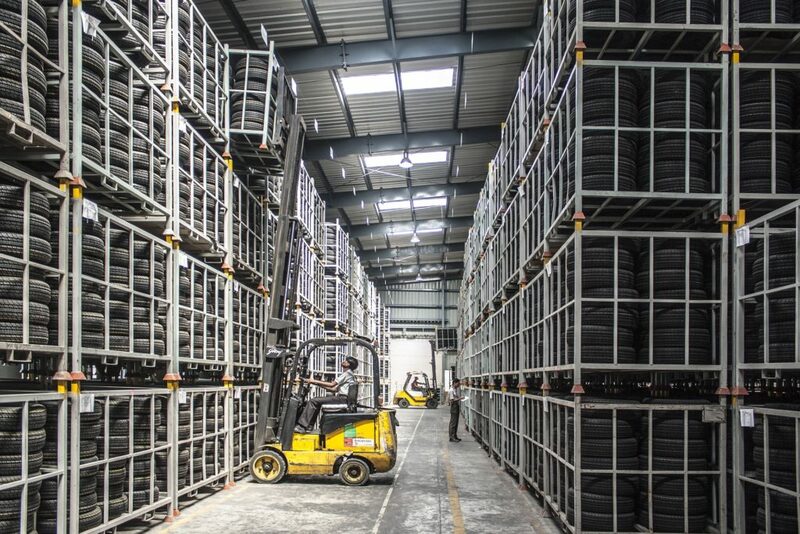 In fact, according to the United States Bureau of Labor Statistics (BLS), the forklift operator profession is and will continue to expand given United States’ industrial economy and in particular Southern California’s growth in eCommerce and subsequent increase in warehouses. So why the strength and growth of forklift operator opportunities in Southern California? Well, Southern California is a top distribution area for many industries. Southern California has the Port of Los Angeles, Port of Long Beach, and access to ocean transportation. Additionally, with its great access to rail, interstates, and numerous airports, Southern California is a highly demanded and strategic location for the establishment of distribution facilities. Take a look at Amazon for example. Amazon, which is worth over $160 billion is comprised of numerous fulfillment centers across the United States (and overseas). These fulfillment centers / warehouses handle the unpacking and inspection of incoming goods, placing pods into storage, picking goods from their computer recorded locations, sorting and packing orders, as well as shipping. And you know what is required to achieve all this??? Forklifts! Forklift operators are the ones that assist in the loading and unloading of materials. They are the ones who help identify and deliver the loads. They are the ones who move and store the goods. They are the ones with the knowledge to operate the necessary powered industrial trucks. And you know which state has the greatest number of fulfillment centers for just Amazon alone? California. In fact, locally we have locations in Carlsbad, Eastvale, Irvine, Moreno Valley, Redlands, Rialto, Riverside, San Bernardino, and San Diego (Rancho Bernardo). But there’s more than just Amazon. Warehouse and industrial facilities are popping up and expanding locally, seeking forklift operators. Salaries for qualified candidates are on the rise due to the value they bring. Simply stated, Southern California has an increasing need for forklift operators and at American Forklift Training Centers, INC., we are proud to have the honor to present you with these opportunities. The question now is, are you ready to seize it? Watch the forklift opportunities knock…call us at (323) 620-7000. Copyright 2019 - American Forklift Training Centers, INC.